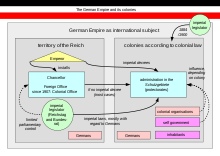 The German colonial empire (German: Deutsches Kolonialreich) constituted the overseas colonies, dependencies and territories of Imperial Germany. The chancellor of this time period was Otto von Bismarck. 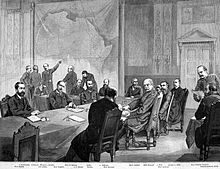 Short-lived attempts of colonization by individual German states had occurred in preceding centuries, but crucial colonial efforts only began in 1884 with the Scramble for Africa. 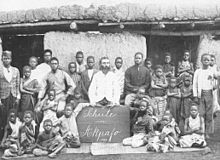 Claiming much of the left-over colonies that were yet unclaimed in the Scramble of Africa, Germany managed to build the third largest colonial empire after the British and the French, at the time. 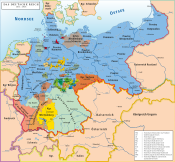 Germany lost control when World War I began in 1914 and its colonies were seized by its enemies in the first weeks of the war. 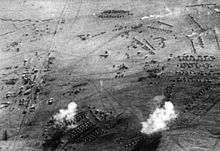 However some military units held out for a while longer: German South West Africa surrendered in 1915, Kamerun in 1916 and German East Africa only in 1918 at the end of the war. 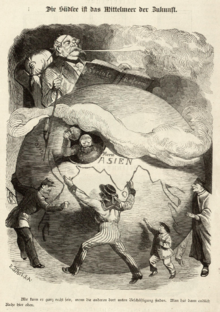 Germany's colonial empire was officially confiscated with the Treaty of Versailles after Germany's defeat in the war and the various units became League of Nations mandates under the supervision (but not ownership) of one of the victorious powers. In recent years scholars have debated the "continuity thesis" that links German colonialist brutalities to the treatment of Jews, Poles and Russians during World War II. 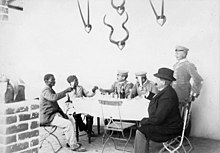 Some historians argue that Germany's role in southwestern Africa gave rise to an emphasis on racial superiority at home, which in turn was used by the Nazis. 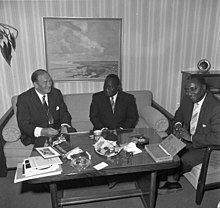 Other scholars, however, are skeptical and challenge the continuity thesis. 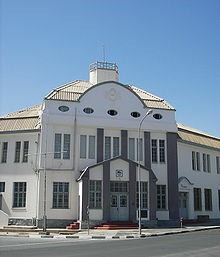 ^ "Germans return skulls to Namibia. On Friday, Germany will return the first 20 of an estimated 300 skulls of indigenous Namibians butchered a century ago during an anti-colonial uprising in what was then called South West Africa". Times LIVE. 27 September 2011. Retrieved 2013-06-02. This page was last edited on 8 April 2019, at 14:12 (UTC).